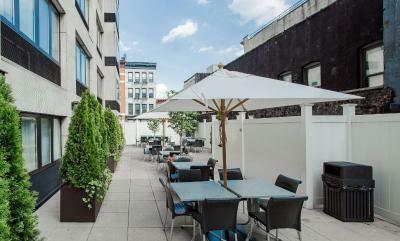 Lock in a great price for Best Western Bowery Hanbee Hotel – rated 8.2 by recent guests! The location was perfect: China Town, Lit'l Italy, Delancey, etc. Would return, for sure. The pics actually didn’t do these rooms justice. I was pleasantly surprised at how clean and modern the rooms were. Hardwood flooring and large wall mounted tv. There were heated hardwood floors in the bathroom. 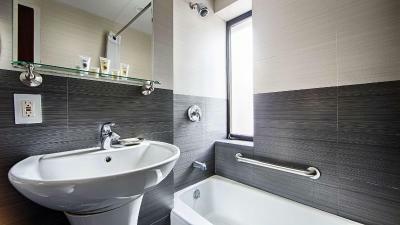 The entire bathroom looked completely new. 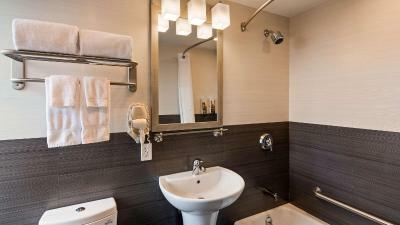 The fixtures, bathtub, toilet was all bright and clean. Even the hallways were cleaned and smelled good. The beds were comfy too. It’s right in the heart of Chinatown which looks a bit sketchy but don’t let that deter you. The front desk personnel were nice. The breakfast was pretty ok. Not fabulous but certainly not bad. There was hot items and cold items including eggs, sausage, and fresh fruit. 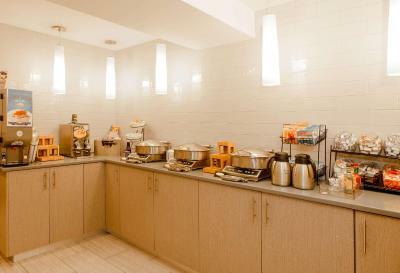 I really liked the fact that we could go downstairs to the breakfast area for water even late at night. Right across the street was a nice fruit stand and there were small stores all around to pick up any necessities needed. Shopping in Soho was a nice walk from the hotel. I enjoyed my stay. It was a great stay at a great price. 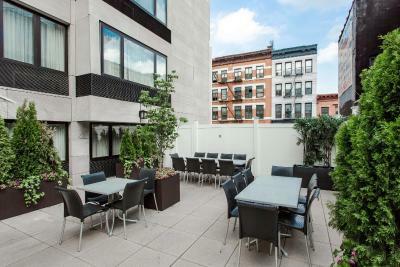 Location is great, in the middle of Chinatown and Little Italy. 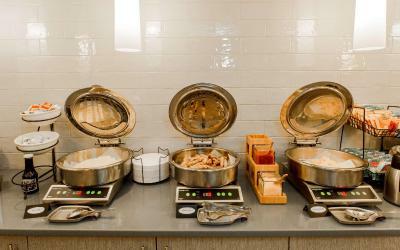 The breakfast is excellent, definitely a plus to consider when booking a hotel to sty with your family. The rooms were ok but nothing spectacular, beds were very confortable. I was given a huge corner room, which I really appreciated! 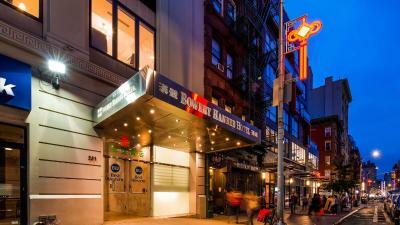 The hotel is located in Chinatown right next to Bowery, so it's in the heart of downtown and I like that. It's convenient to many restaurants and shops. 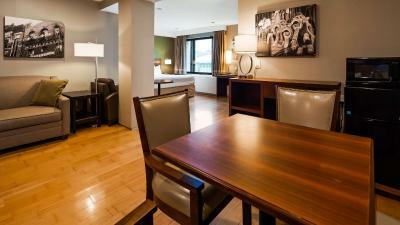 The rooms are clean, rates are good, staff are pleasant, and I was happy. Room was spacious. Bed was comfy.Eggs were delicious. Enjoyed the shredded cheese & salsa very much. Belgian Waffles were the best. It was so awesome that u had sugar free syrup. Enjoyed the frest blueberries & banana slices. 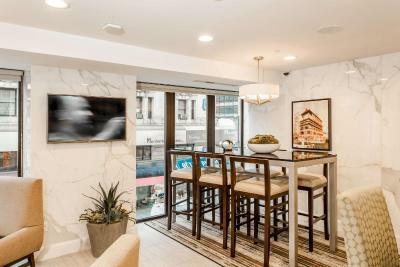 Good location for walking and subway access. Friendly staff. Bed was comfy. Staff was friendly. Breakfast was acceptable. The hotel exceeded my expectations. 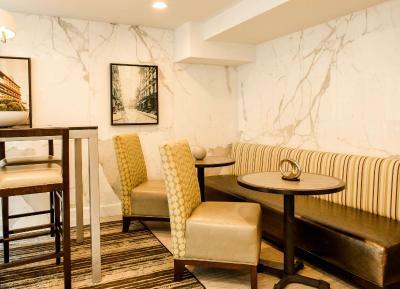 The price was very affordable, the staff was friendly and helpful, room was exceptionally clean, and the breakfast was delicious. highly recommend! Thumbs-up to housekeeping (particularly the man), Lisa on the front desk and all the kitchen staff. The breakfast included provided a good way to fill up before a day walking around the CIty, and also saved cash. Very good at providing gluten-free bread every morning and dairy-free milk option (just ask!). 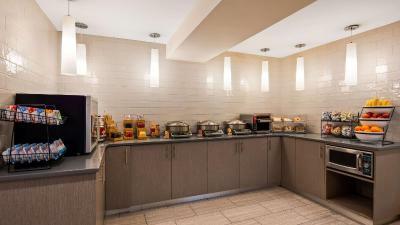 Also had gluten-free rice cereal available, but that and the milk both contained sugar : ( Hot drinks available throughout the day from the lobby area were very welcome, especially when it snowed! The location was great for exploring downtown on foot. Also really near two Metro/subway stations. Wholefoods 10 minute stroll away. 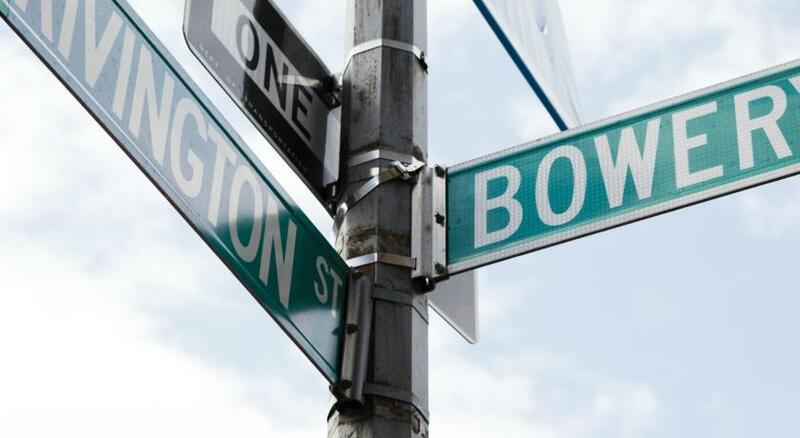 Great, affordable restaurant options in Chinatown and the LES. Close to Soho for shopping. 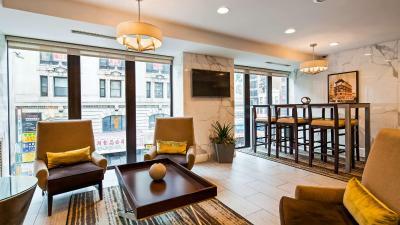 Best Western Bowery Hanbee Hotel This rating is a reflection of how the property compares to the industry standard when it comes to price, facilities and services available. It's based on a self-evaluation by the property. Use this rating to help choose your stay! 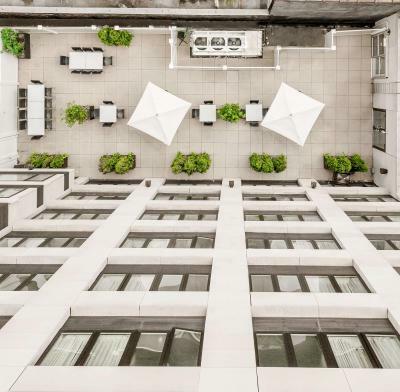 One of our top picks in New York.Located in downtown Manhattan, this hotel is steps from Little Italy and 400 feet from the Grand Street Subway station. 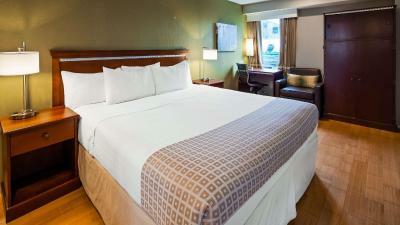 It features guest rooms with flat-screen TVs and free Wi-Fi. 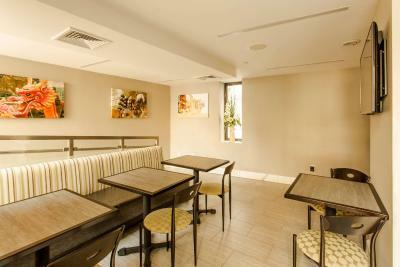 Every room at the Best Western Bowery Hanbee Hotel provides coffee facilities. 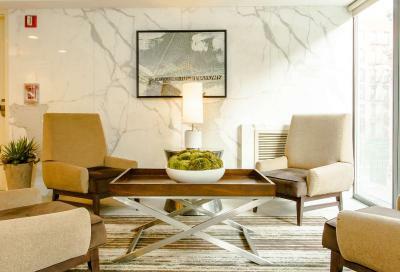 Each includes cable TV with in-room movies and a variety of international TV channels. 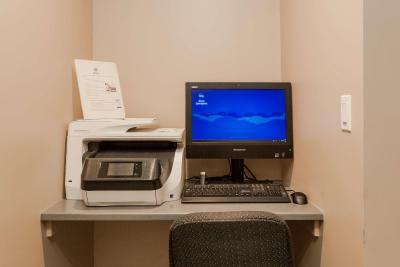 A business center is available at the hotel. 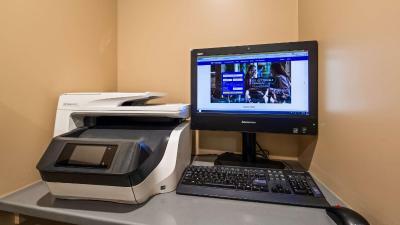 Bowery Hanbee Best Western Hotel also offers laundry facilities and a 24-hour front desk. 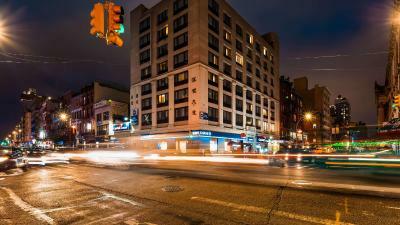 Bowery Hanbee Hotel is within walking distance of the fabulous shopping of SoHo and the vibrant Chinatown area. One World Trade Center and 9/11 Memorial is only 1 miles away. 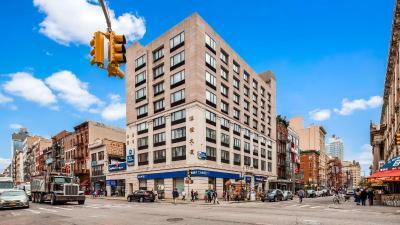 When would you like to stay at Best Western Bowery Hanbee Hotel? Public parking is available at a location nearby (reservation is not possible) and costs USD 40 per hour. 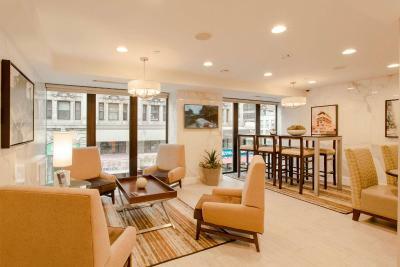 This family room has a satellite TV, air conditioning and tea/coffee maker. 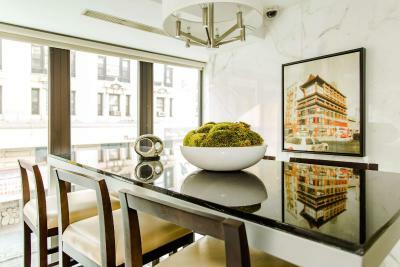 House Rules Best Western Bowery Hanbee Hotel takes special requests – add in the next step! 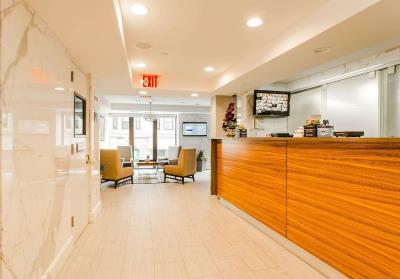 Best Western Bowery Hanbee Hotel accepts these cards and reserves the right to temporarily hold an amount prior to arrival. Upon check-in photo identification and valid credit card are required. The minimum age for check-in is 21 years. Charges will be applicable for guests checking out prior to their booked departure date. The internet in my room was down the whole time I was there, and after multiple attempts at asking the staff to help fix it, I just gave up. The bed was so tall I had to climb in and literally jump a foot down from it. I'm 5'4" – not miniaturized – so I don't understand who they made it that size for? 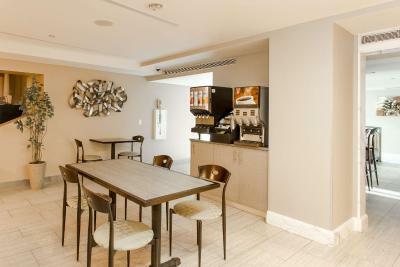 The lobby / breakfast space is a flourescent-lit corridor-like space, which doesn't make for the brightest start to a day. The windows on the building are also nowhere near soundproof, which in that area means you can hear honking and traffic throughout the night. The location makes this place, and the room was a very good size but for the price it would need to be. Small breakfast room - lots of trash due to plastic and one way dishes and cutlery. No gym or fitness facilities inhouse. Construction work at the hotel. Staff was very nice, location is good. 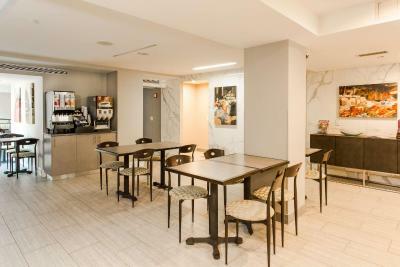 breakfast room and lobby are really too small and crowded, breakfast a little too plastic. 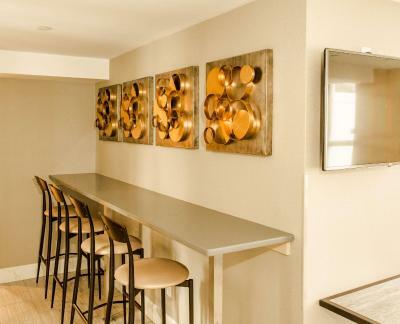 good hotel, nice clean rooms, great neighborhood. We stayed 8 nights in this hotel and overall we were happy, however what put me off was plastic/paper cutlery and plates for breakfast. This is not only bad for the environment but it looks really ugly... During our stay there were some renovation works going on, we did not hear any noise, but there was no outside area for breakfast and for some mornings we did not have enough tables for all the guests. We had to stand and wait for someone to leave. Variety of the food could've been better: same scrambled eggs, sausages, ham, waffles and pancakes 8 days. The only thing changing was fruits.. 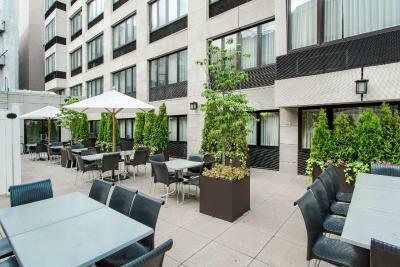 This hotel is in the middle of Chinatown, you can find cheap and good places to eat there. Subway is around the corner, which is very handy. We shared king suite for 3 adults, and the size of the room was great. Sofa bed for 3rd adult was ok, but you could feel the metal support underneath. The staff was great and very helpful, they were always there with big smiles.The list with everything in the are was a big plus for us. Michael was a great motivation. All of the restaurants and shops were in walking distance truly enjoyed our stay . The breakfast area was too small. It was difficult to find a table. A well positioned and run hotel. Wasn’t impressed a few times the card didn’t work so had to keep going to reception to get it changed. Beds were very comfortable, the cleaners were very friendly to say hi. Good location to get the subway or Uber. Honestly, I can’t think of anything that wasn’t right with this stay. I wish the breakfast area wasn’t so chaotic with all those people milling around the food but the ladies who worked there kept it stocked and were helpful. The hotel had scaffolding around it during our stay although no work seemed to be going om, which was fine with us. Breakfast can get a little crowded so plan to go early or later if crowds or waiting for a seat is an issue. My only complaint was a really noisy air conditioner that went on and off constantly. I am not a light sleeper so I didn't have a problem once asleep. 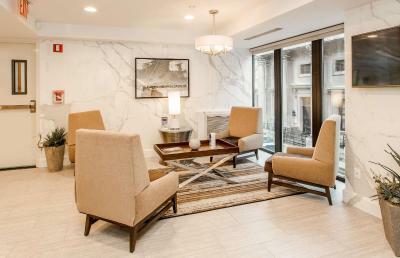 The location is pretty good, close to metro station for going uptown, walking distance to many stores, cafes and restaurants. Breakfast was good, not a huge amount of choice, but what is there is tasty, and you can find something to eat no matter the taste. 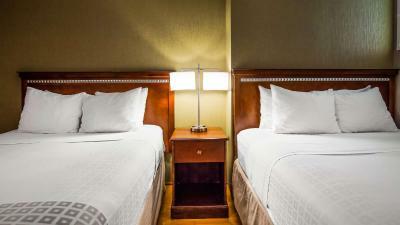 Small room, beds are very soft and uncomfortable, light the bathroom would light up the whole room, Inconvenient when you share room with others.